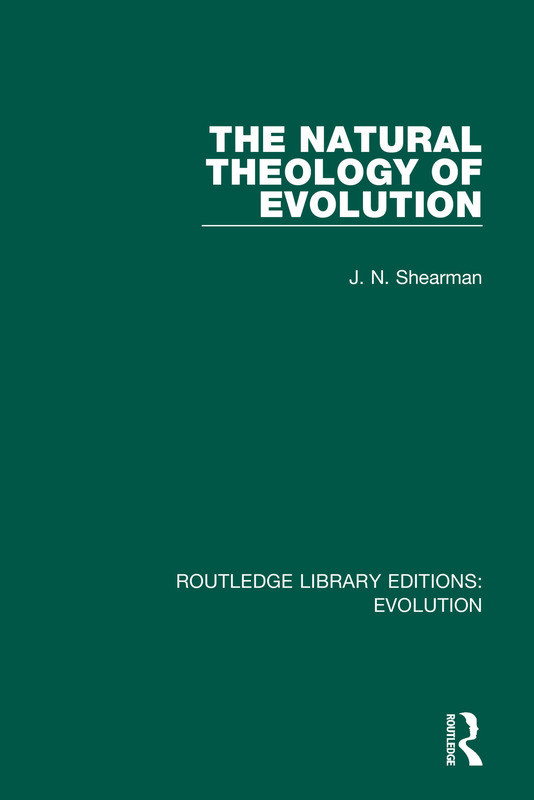 Originally published in 1915, The Natural Theology of Evolution looks at the concept of natural theology, examining the argument for the existence of God based on reason and ordinary experiences of nature. The book looks at natural theology in light of Darwin’s theory of evolution, and how this important discovery affected belief in intelligent design. The book argues that the discovery of evolution, far from diminishing the existence of God, provides stronger proof for an intelligently designed earth and therefore the existence of God. This book provides a unique and interesting take on the debates surrounding evolution in the late 19th and early 20th century. It will be of interest to philosophers, historians of religion and natural historians alike. The volumes in this set, originally published between 1913 and 1997, draw together research by leading academics in the area of evolution and provide a rigorous examination of related key issues. The collection examines evolution from a broad range of disciplines, from the anthropological development of modern society, to the scientific examinations of cellular and genetic evolution. The collection includes volumes across the disciplines of biology, natural history, anthropology, sociology and religion. The 16 books that comprise this collection include rigorous examinations into the psychological evolution of the brain, philosophical and theological examinations of evolution, analysis of genetic and cellular evolution, discussions of Darwinian theory, the affect of survival of the fittest from both genetic and political standpoints and examinations into the affinity between man and ape. This collection brings back into print a collection of insightful and detailed books on the diverse subject of evolution and will be a must have resource for academics and students, not only of biology and anthropology, but of history, psychology and religion.